Brethren, I may confidently say to you regarding the patriarch David that he both died and was buried, and his tomb is with us to this day. And so, because he was a prophet and knew that GOD HAD SWORN TO HIM WITH AN OATH TO SEAT one OF HIS DESCENDANTS ON HIS THRONE, he looked ahead and spoke of the resurrection of the Christ, that HE WAS NEITHER ABANDONED TO HADES, NOR DID His flesh SUFFER DECAY. This Jesus God raised up again, to which we are all witnesses (Acts 2:29-32, NASB). (Note: the NASB uses upper-case in NT texts to indicate quotations from the OT). Here is the proposed site for the tombs of the house of David located at the SE portion of the City of David, excavated by Raymond Weill, 1913-1914. 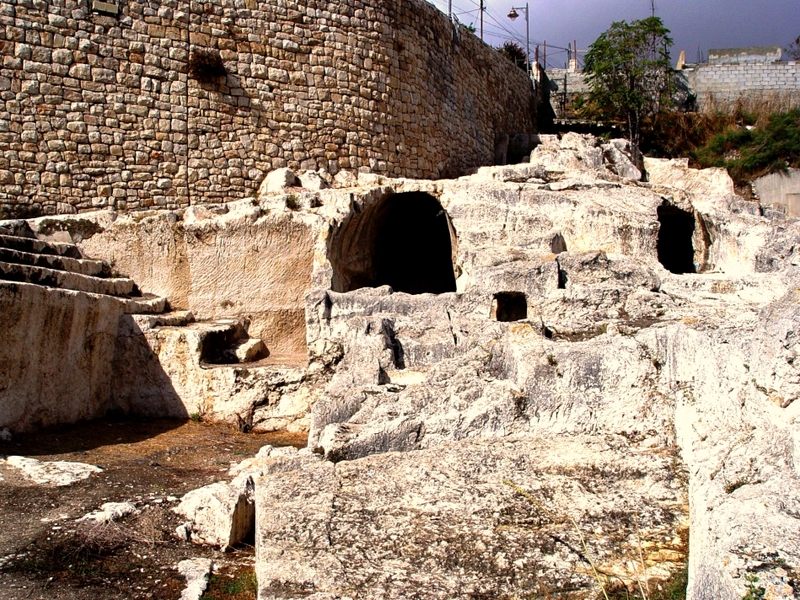 Royal Tombs of the House of David, proposed site. Photo by Leon Mauldin. Proposed Tomb of the House of David. Photo by Leon Mauldin. Most scholars today reject this identification. These structures do not have features typical of Iron Age tombs; there are no burial benches or repositories. Because of later destruction, there is no stratigraphy, pottery, or burial gifts which would make dating the structure possible. 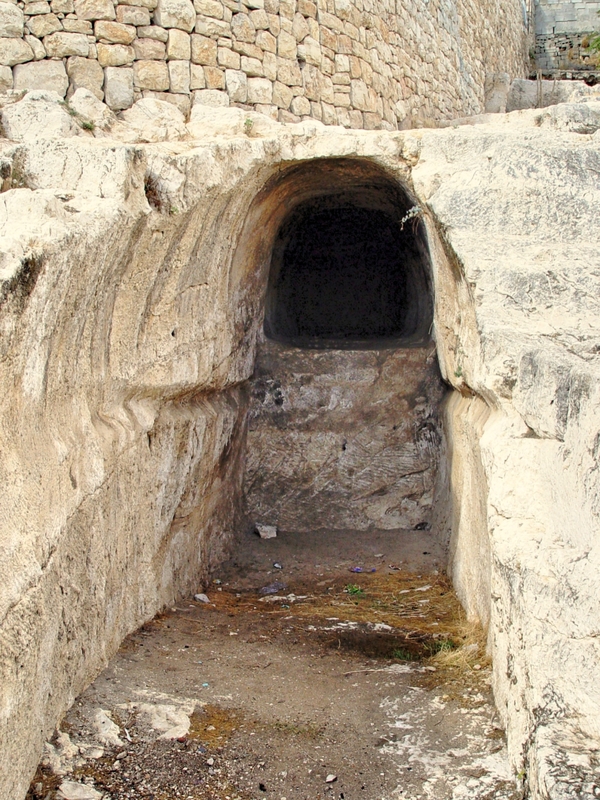 Some scholars think that it dates to the Herodian period and may have been used as wine cellars for the structures built above it. There is no other candidate for the tomb of David. The point to be remembered is that unlike the Subject of David’s psalm, David was buried, and his body saw corruption. The One of Whom he spoke saw no corruption. His body did not decay, and His spirit was not left in the Hadean realm–up from the grave He arose! The resurrection of Jesus is at the very heart of the Gospel message. Apart from the resurrection of Jesus there IS no Gospel! We recently wrote on David’s Tomb here. I am currently enjoying teaching 1 Chronicles in our Bible class in our local congregation. The record of David’s ill-advised census and its terrible consequences is found in 1 Chron. 21. An angel and a prophet were used by God to instruct David: “Now the angel of the LORD had commanded Gad to say to David that David should go up and raise an altar to the LORD on the threshing floor of Ornan the Jebusite” (v.18, ESV). David purchased the threshing floor at the “full price” from Ornan, “And David built there an altar to the LORD and presented burnt offerings and peace offerings and called on the LORD, and the LORD answered him with fire from heaven upon the altar of burnt offering” (v.26, ESV). Note that reference is made to the “threshing sledges for the wood.” The threshing sledge was pulled across the grain to separate the kernel from the chaff. 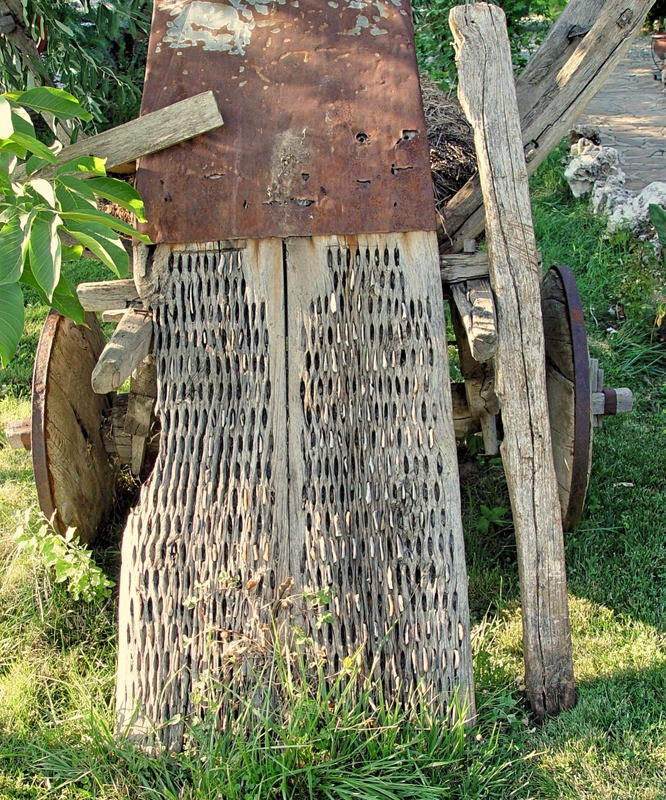 In Aphrodisias, Turkey, I had the opportunity to photograph several threshing sledges. This helps us to visualize what David used for wood for the burnt offerings in our Chronicles text. Threshing Sledge at Aphrodisias, Turkey. Photo by Leon Mauldin. Though the text is challenging, it seems that its placement in Chronicles is to show the usage God made of the event. The property David purchased for offering for atonement for sin would become the site for Solomon’s building the temple! “Then David said, ‘Here shall be the house of the LORD God and here the altar of burnt offering for Israel'” (22:1). 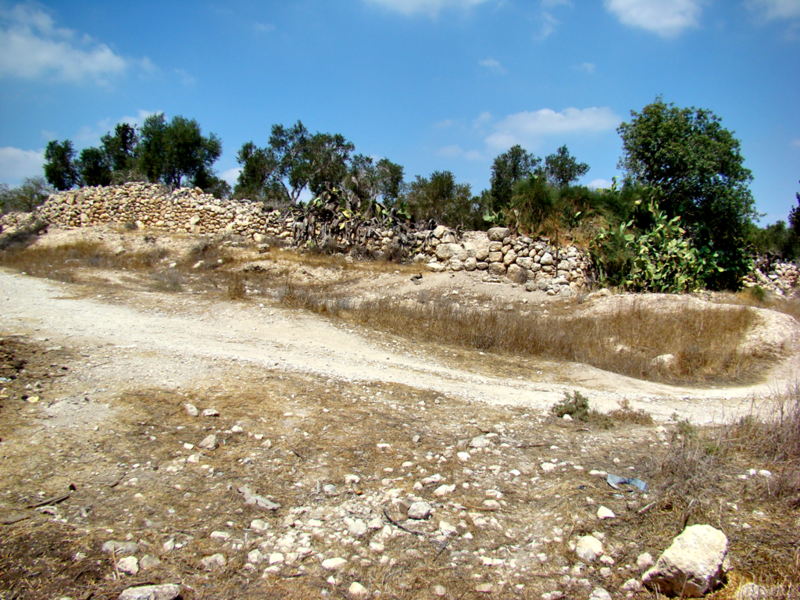 While seeing the biblical site of Adullam it became apparent why David would have longed for the water from Bethlehem. Adullam is on a hill. Tell Adullam. Photo by Leon Mauldin. There was water at Adullam. 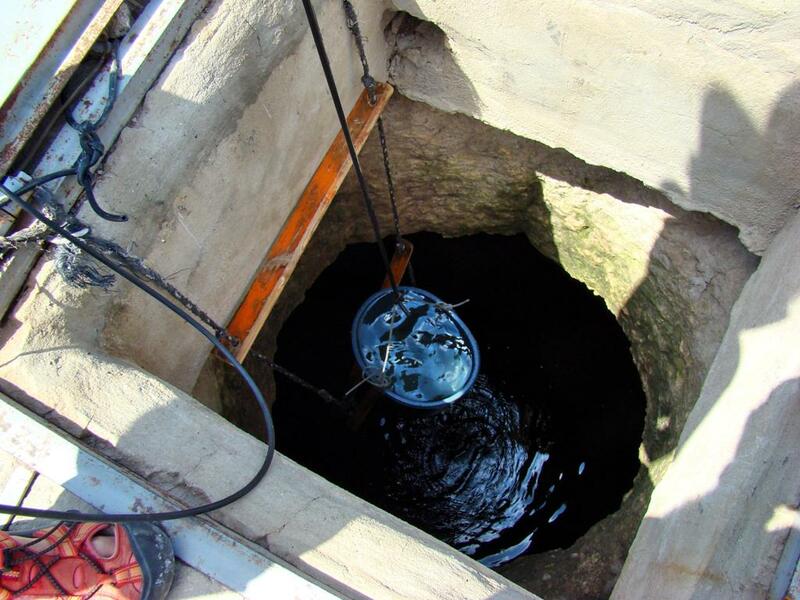 Like so many sites in Israel, water was collected in cisterns. Cistern at Adullam. Photo by Leon Mauldin. Our driver and guide Daphna drew some water from the cistern and then poured it back. We did not take a drink so I cannot vouch for its taste. 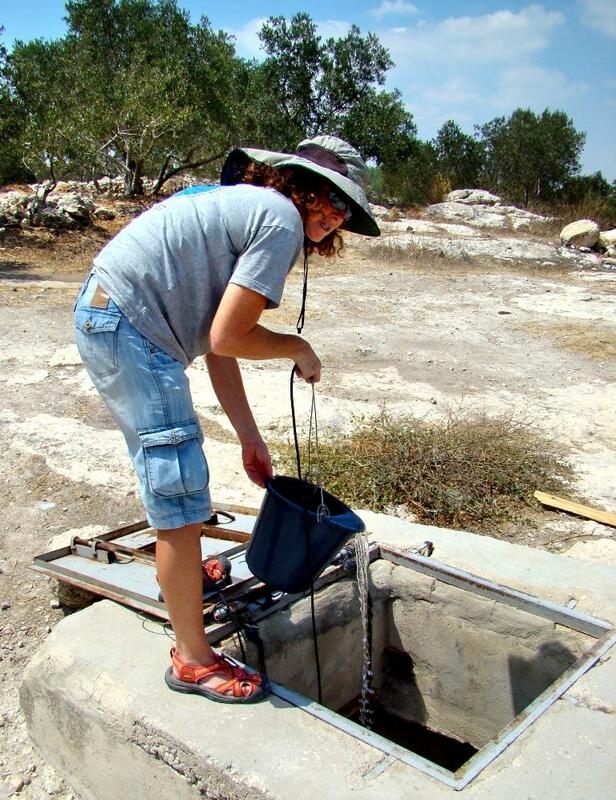 Daphna draws water and pours it back into the cistern at Adullam. Photo by Leon Mauldin. 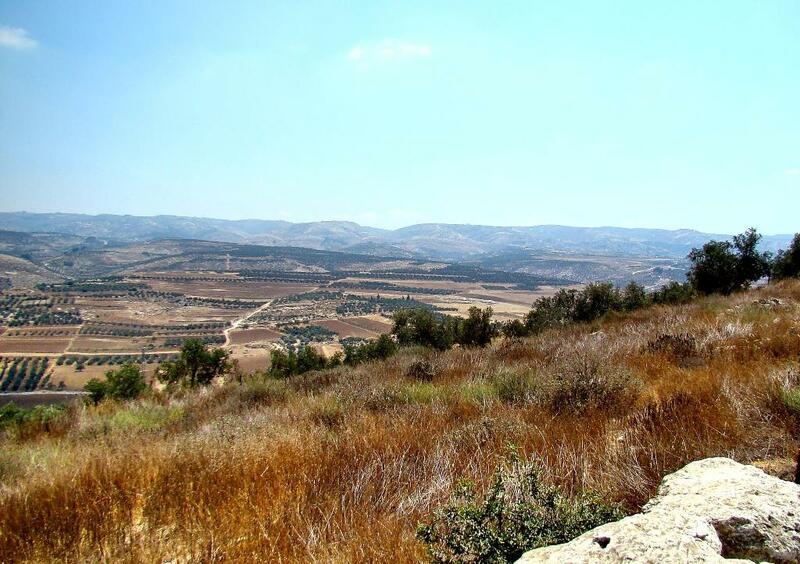 David’s three men traveled 13 miles to the east to get to Bethlehem from Adullam. Bethlehem would be to our far right, 13 miles distant from Adullam. Photo by Leon Mauldin. David knew the difference between water that was living and fresh, like that at Bethlehem, and water collected in a cistern. For My people have committed two evils: They have forsaken Me, The fountain of living waters, To hew for themselves cisterns, Broken cisterns That can hold no water (Jeremiah 2:13). Click images for higher resolution.